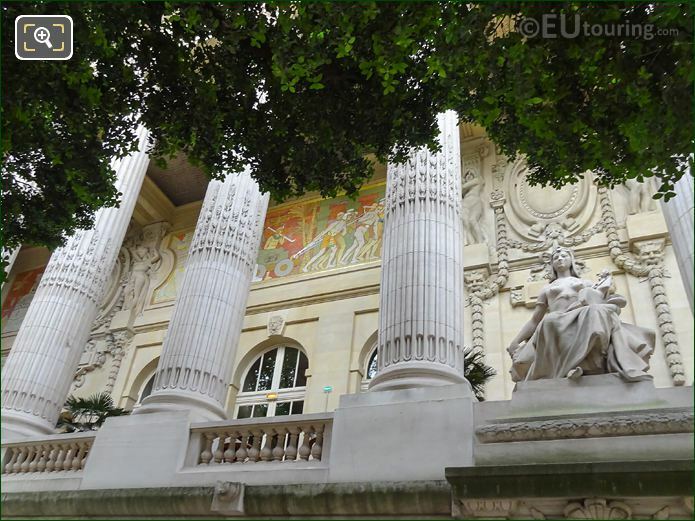 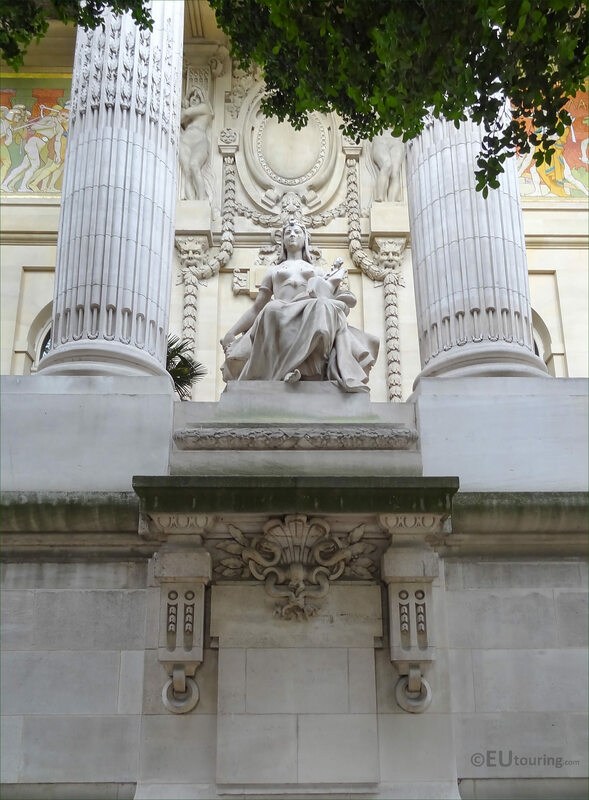 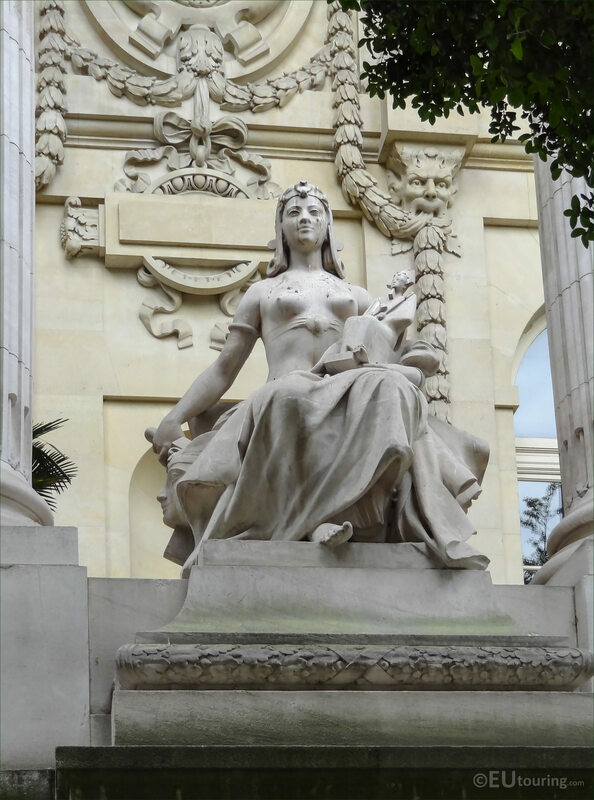 We were again at the Grand Palais, which is located in the 8th Arrondissement of Paris, and we took these high definition photos showing the statue called L'Art Egyptien that was sculpted by Auguste Suchetet. 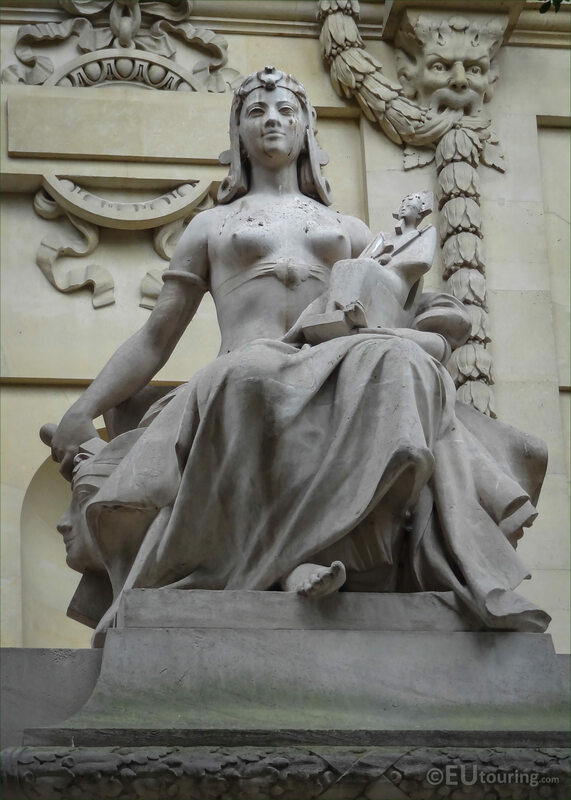 This first HD photo shows the entire L'Art Egyptien statue, which is part of a series of statues that are located on the colonnades of the Grand Palais, and this particular one is called L'Art Egyptien, which in English translates to Egyptian Art. 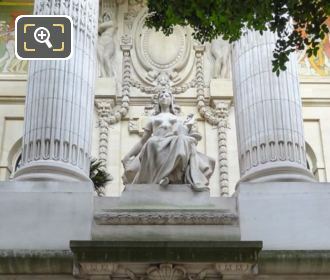 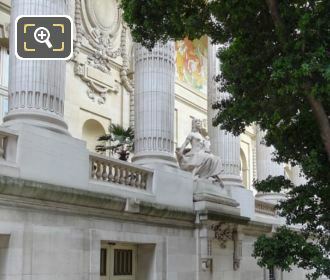 Now this particular image shows the Egyptian Art statue as we are looking up at it from ground level, and this was put in place along with the other allegorical statues depicting different eras and countries of art when the Grand Palais was inaugurated in 1900 for the Universal Exhibition in Paris. 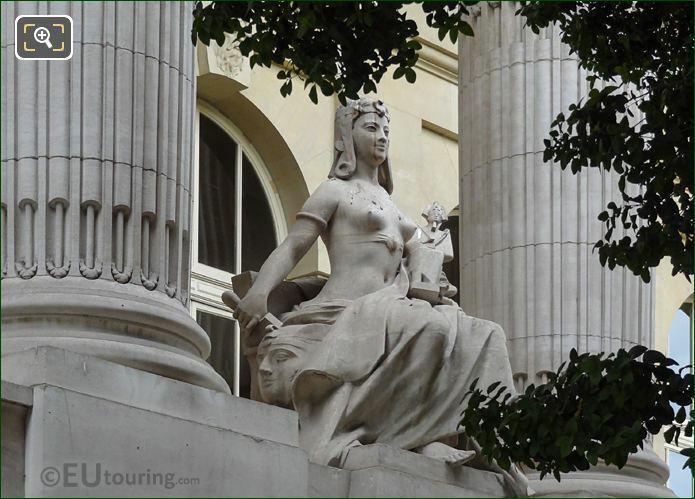 So here is the allegorical statue, L'Art Egyptien, shown from a different angle, and as you can see, one of the features that portrays Egyptian Art is the headdress the female figure is wearing, and this is a set of four stone statues commissioned to represent art from different cultures around the world. But this next high definition close up photograph shows the detailing that went into producing this statue, which was sculpted by Auguste Suchetet, who was born in the Aube department of the Champagne-Ardenne region of France in 1854, and after initially studying under his father, then at the fine arts school in Lyon, he managed to get a grant to study in Paris. During his career as a French sculptor, Auguste Suchetet won gold medals at both the 1889 and 1900 World Fairs in Paris for his sculptures, and others can also be seen in Paris at tourist attractions such as the Musee d'Orsay, yet later in his career he turned to painting rather than statues, even though he produced a sculpture a year prior to passing away in 1932. 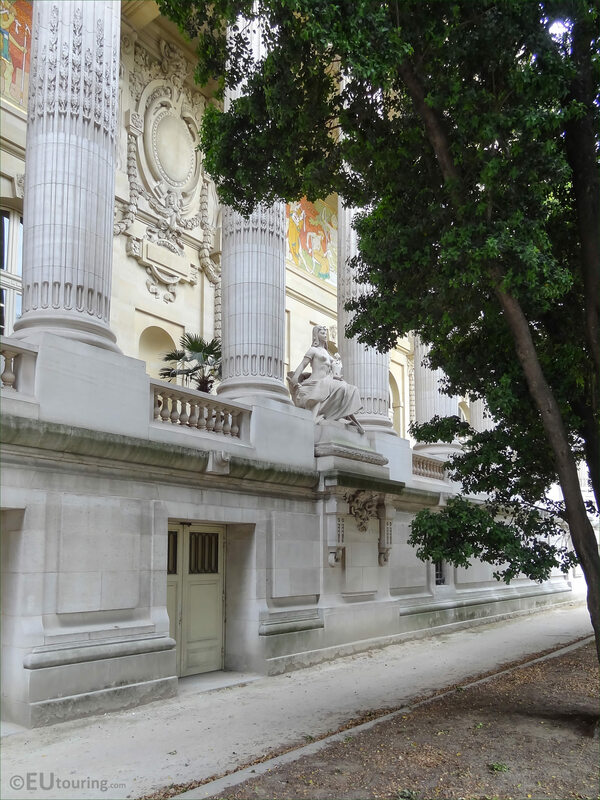 And in architectural terms, a colonnade is designed with pillars that support an entablature, often on the outside edge of a building to provide a different perspective to a facade, so in this last photo, it shows the stone statue of Egyptian Art on the colonnade, which is to the left hand side of the main entrance to Grand Palais eastern facade.